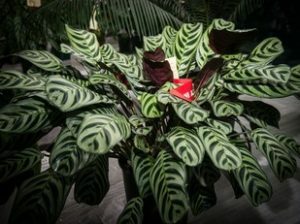 Home - Beaudesert Districts Orchid And Foliage Society Inc. 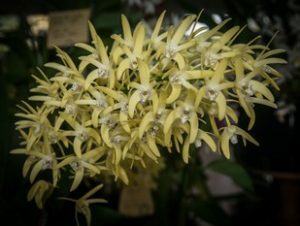 The society was formed on the 23rd March 1982, with the aim of increasing the awareness of propagating and growing orchids and foliage plants in the Beaudesert region. This region enjoys a sub-tropical climate, presenting some challenges to the grower. Summer heat and humidity and winter cooler temperatures, including frosts, make growing orchids, foliage plants and gardening generally a challenging but rewarding hobby or career. The orchid shown in our logo is the red flowered Dendrobium kingianum. Dendrobium…from the Greek dendron, a tree, and bios, life, referring to the growth habit of many, but not all, species. kingianum… after Captain Phillip Parker King, a Naval officer and friend of J.C Bidwill who named the species. This orchid was discovered in the Lamington National Park, and is found only in a small area in South East Queensland and northern New South Wales.